When it comes to stopping time from moving or things from changing, we don’t stand a ghost of a chance. The Concordia Sir George William Auditorium was packed to full capacity on July 14 for this year’s Fantasia International Film Festival. Off in a corner of the room is a figure covered in a white bed sheet to look like the ghost in the film. Lowery was also in attendance and stuck around after the screening to answer any questions about the film. The movie focuses on the ghost of a man, played by Affleck, who suddenly dies and now chooses to stay at his old home waiting for his partner, played by Mara. Time passes in a blur, different people come and go, and the surroundings change. The ghost can do nothing but watch as this all unfolds before him. He is unable to stop any of it. 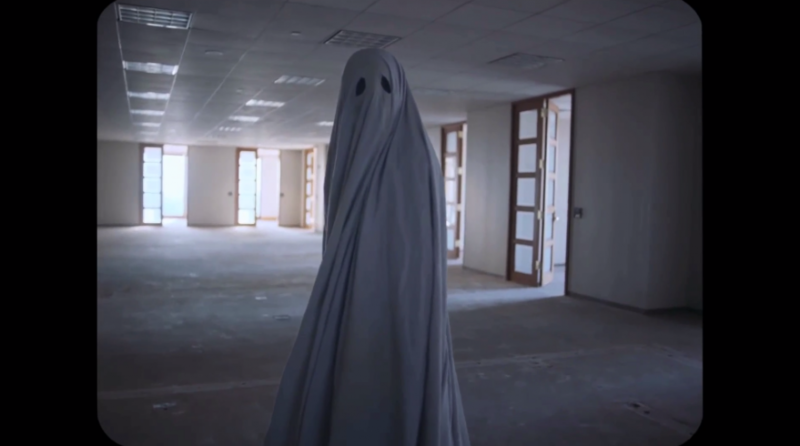 Lowery made good use of the long shot in A Ghost Story, capturing the feeling of loneliness and emptiness that the ghost felt as he watched people mill around him in his former home. Although Affleck’s character wore a white sheet with eye-holes which effectively hid his face, it was still somehow obvious what he was was feeling. The ghost hardly moved throughout the film but this subtlety actually made each of his scenes all the more powerful and easier to gouge out the spirit’s emotions. “I think that was intrinsic to the movie,” Lowery said when asked about the bed sheet that Affleck had to don for a majority of the film. 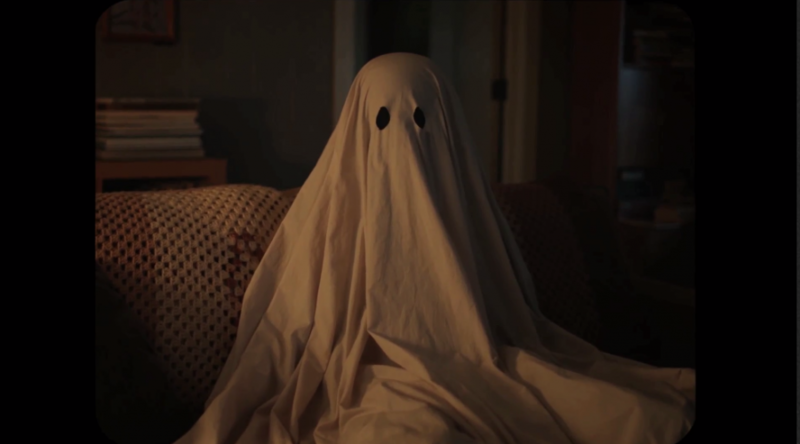 “I love how childlike and naive and simple that image is, and I love the idea of taking something that is so recognizable and using it in a different context.” Lowery strongly believed that the film would not have had the same impact that it did had he chosen not to have the ghost dressed in a classic bed sheet. Something that became evident while watching the film was that most of the characters didn’t have names. Lowery explained that the characters had initially been given names when he first wrote the script. But as he and his crew read the script, the decision to remove the names became final. Despite having worked on a big budget film like Pete’s Dragon for Disney Studios in the past, Lowery didn’t see many differences between that and filming an independent film like A Ghost Story. While it took Lowery a much bigger budget to film Pete’s Dragon and around 80 days to shoot it, it only took him a period of 19 days to shoot A Ghost Story. Time and money, as Lowery stated, were the biggest differences between the production of the two films. 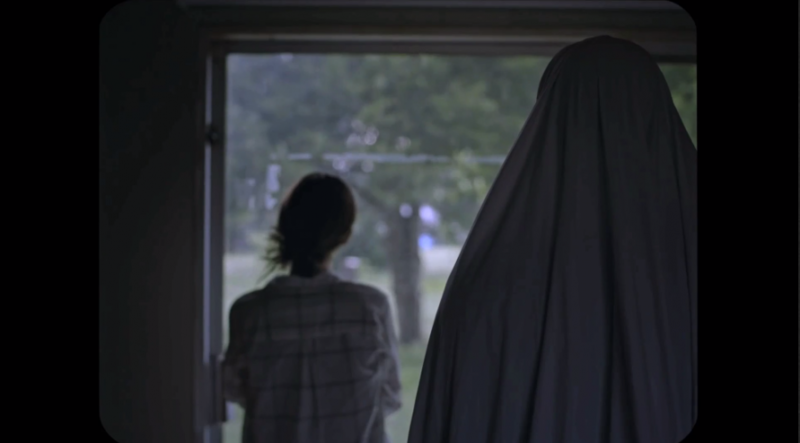 Throughout the entirety of A Ghost Story, there wasn’t a single moment where the feeling of anticipation and slight shock let up. Every scene in the film elicited a reaction of deep existentialism. As the audience watched the ghost wait around in his old home watching others live out their lives as time passed, a sense of our own mortality became all the more noticeable. At some point in the movie, Affleck’s ghost sees another ghost clad in a floral print bed sheet who is also waiting for someone. This other presence is the only thing that Affleck’s ghost gets to truly interact with via expressionless nods of the head and slight hand movements. This brief character in the film gave the audience a sense of what would come next for Affleck, since the floral ghost said that they didn’t remember who they were waiting for anymore. The transitions in the film were so smooth and unbroken that it was unclear just how fast time was moving. We saw the ghost wander from room to room where one moment it was a new family moving in, and then suddenly there’s a new set of people who are throwing a house party. The sense of time slipping in and out the ghost’s grasp like loose sand gave the feeling of helplessness, confusion, and loneliness. A Ghost Story was gripping, surreal and moving; every scene held onto the attention of its audience with its powerful simplicity and attention to detail.